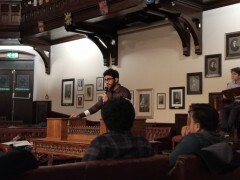 Muhamad Hilmy Bin Mohd Yazid delivering their speeches at the Grand Final (ESL Category) held at Cambridge Union. 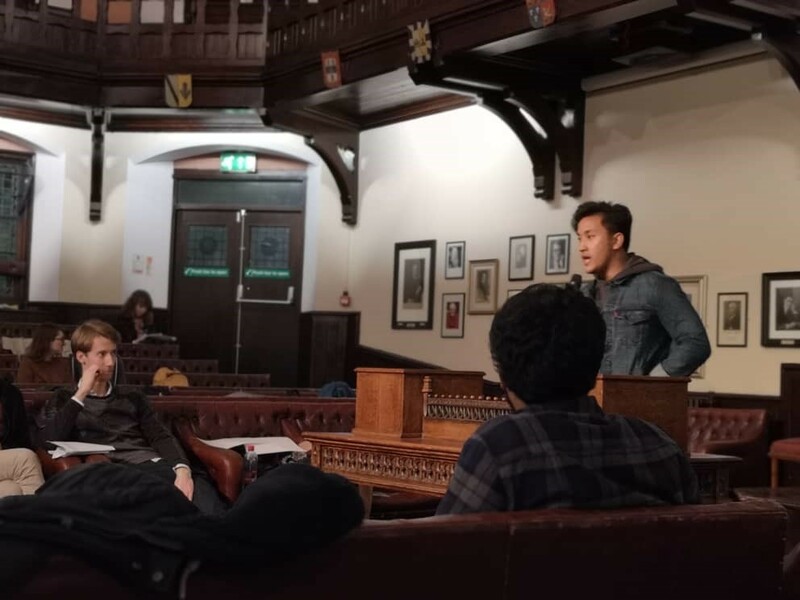 IIUM English debate teams have participated at the Cambridge IV Debate (15-17 November 2018) held at the University of Cambridge, United Kingdom. Cambridge IV Debate is one of the most prestigious intervarsity debate tournaments in the world in which more than 100 teams from all over the world participate every year. IIUM has been a regular participant in this tournament and have performed well over the years. This year, IIUM has participated in this tournament with 2 teams. Both IIUM teams made its way to the Grand Final of the ESL Category of the competition. In the ESL Grand Final, the IIUM Team A and B met the teams from University of Leiden and Hebrew University. In a highly contested Grand Final, University of Leiden emerged the Champions. IIUM debater Irtza Ali Soomro received award for Top Ten ESL Best Speaker. IIUM Adjudicator Nur Hana Izzati Binti Abdullah Zawawi judged the knock-out stage of the tournament which has also brought recognition and honour to IIUM. IIUM Team A consisted of Shitab Daiyan Akash (KENMS) and Muhamad Hilmy Bin Mohd Yazid (AIKOL), whereas Khalis Khalid (AIKOL) and Irtza Ali Soomro (AIKOL) comprised IIUM Team B.